Regular classes resume on Tuesday, January 8! We’re looking forward to seeing everyone back in the dojo! 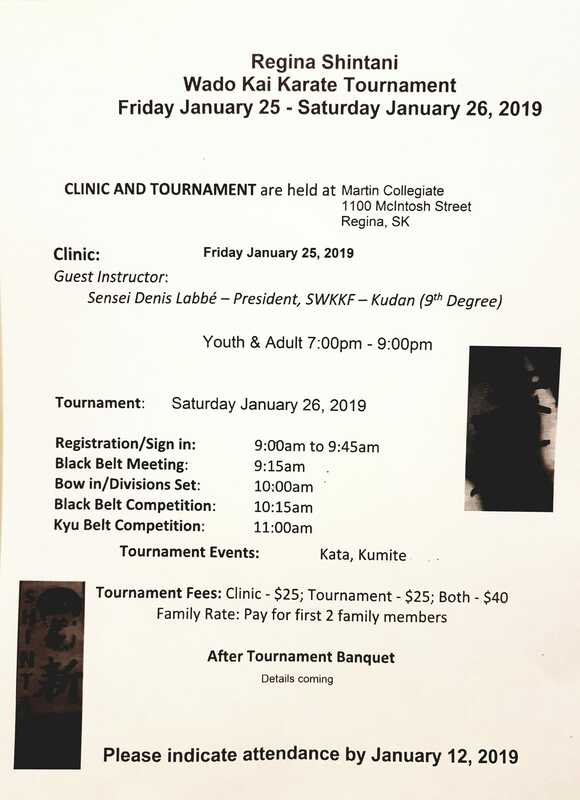 Just a reminder that the 1st Annual Regina Tournament is on Friday and Saturday, January 25/26, 2019. It would be great to support their first tournament!